Free Shipping Included! 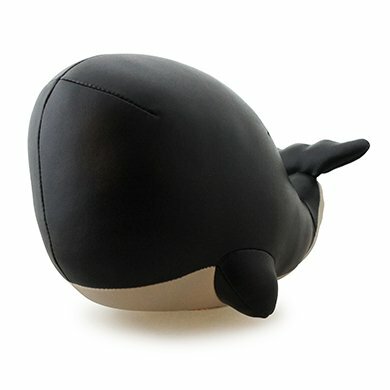 Zuny Series Sperm Whale (Jojo) Black Animal Bookend by Zuny at Animal Backgrounds. MPN: ZUBV0170BLK. Hurry! Limited time offer. Offer valid only while supplies last. Simple but mirthful style. A good size and weight that can hold most of heavy items. It can be placed anywhere in your area but look elegant. (e.g. Simple but mirthful style. A good size and weight that can hold most of heavy items. It can be placed anywhere in your area but look elegant. (e.g. on the desk, beside the bed and door). It can apply not just for books, but also for CDs and doors. Flexible function and elegant appearance brighten up your space!